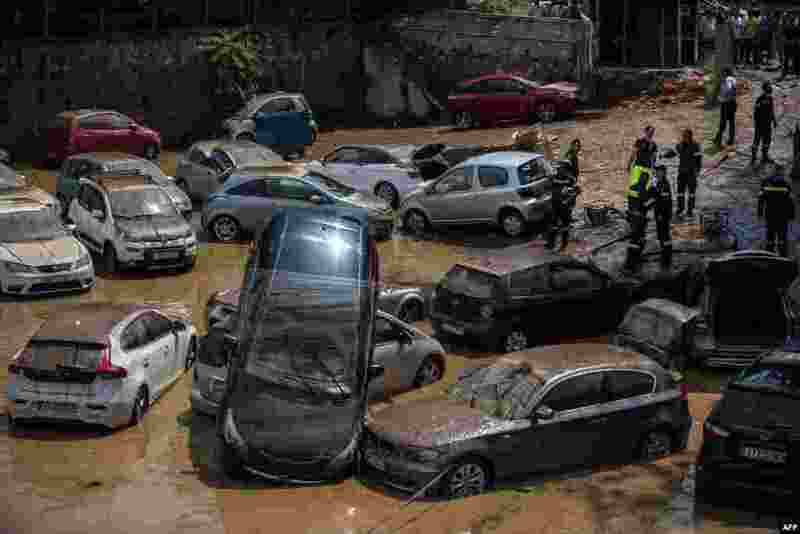 1 This general view shows emergency workers among damaged vehicles in a open parking area of northern Athens on July 26, 2018, after a flash flood struck the Greek capital. 2 The pack with Britain's Geraint Thomas, wearing the overall leader's yellow jersey, climb Col du Tourmalet pass during the nineteenth stage of the Tour de France cycling race over 200.5 kilometers (124.6 miles) with start in Lourdes and finish in Laruns, France. 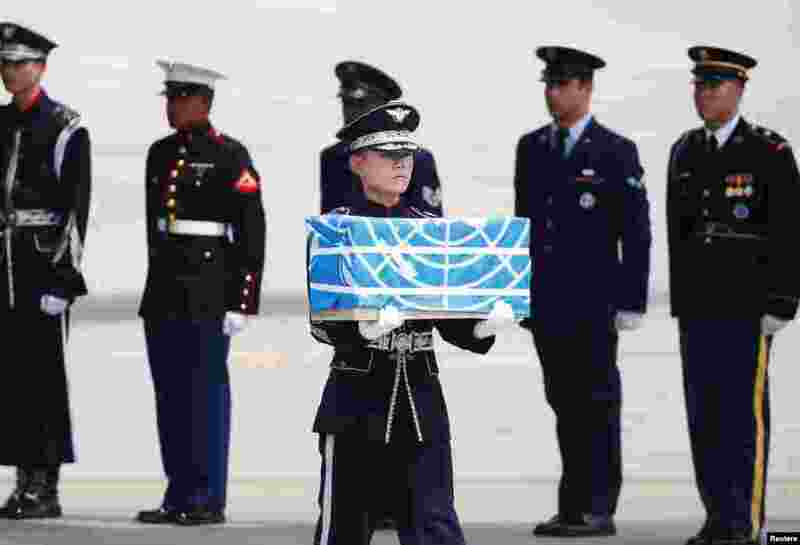 3 A soldier carries a casket containing the remains of a U.S. soldier who was killed in the Korean War during a ceremony at Osan Air Base in Pyeongtaek, South Korea. 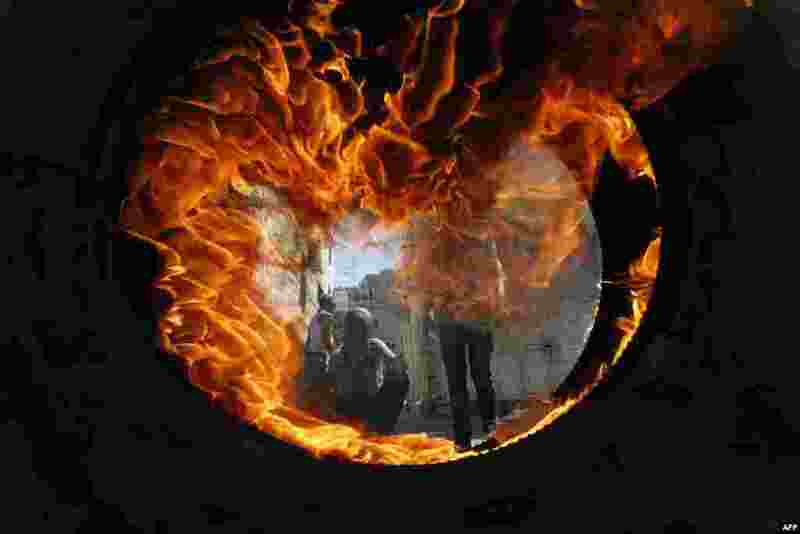 4 Palestinian protesters are seen through a burning tire during clashes with the Israeli soldiers after the Friday prayers in the centre of the occupied West Bank city of Hebron.